At West Gate Dental, our mission is simple: help patients of all ages throughout the greater Lincoln, NE area achieve beautiful, healthy smiles for a lifetime. Dr. Rebecca Sowers and our highly-trained team of dedicated dental professionals strive to individualize dental care, designing personalized treatment plans and working to make the treatment process convenient for every patient. In addition to maintaining strong teeth, our practice also proudly focuses on maintaining gum health for our patients – and in some cases, we can treat even advanced forms of gum disease without the need for surgery. 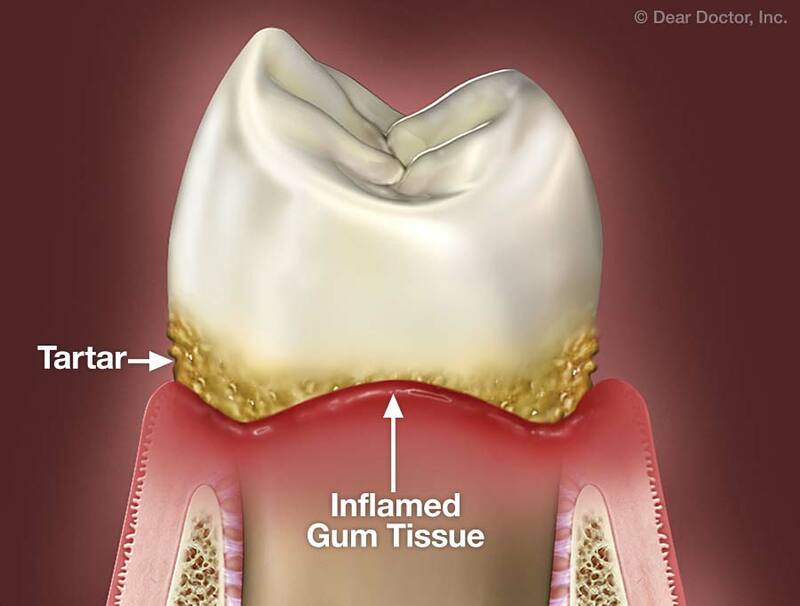 Periodontal (gum) disease is a condition caused by a bacterial infection of the gums. Generally, this infection comes from the buildup of bacterial plaque on the teeth: a thin, sticky biofilm of bacteria that congeals to tooth enamel and causes major problems like tooth decay. Gum disease is a progressive condition and begins as a mild form called gingivitis, which causes little more than inflammation and occasional bleeding. However, if left without treatment, gingivitis can progress into periodontitis – a much more severe condition that can lead to gum recession, the loss of teeth, and even bone loss. Scaling and Root Planing: Scaling and root planing offer one of the most important methods for reversing gum disease and protecting the health of the teeth, gums, and jawbone. Put simply, this is a "deep cleaning" procedure for the teeth, similar to routine teeth cleaning but more intensive and exhaustive. Scaling is the process of using specialized dental instruments to remove plaque and hardened deposits of calculus, or tartar, both on the exposed tooth surface and on the roots of the teeth below the gumline. After scaling, root planing is used to smooth the surfaces of the tooth roots, which makes it more difficult for bacteria and plaque to develop there. Antibiotic Dental Treatment: In some cases, advanced gum disease may result in tiny areas of the teeth that harbor bacterial deposits but are almost impossible to reach with dental instruments. In these instances, sometimes the best treatment option is to disinfect these areas using a prescription-strength antibiotic rinse or paste. While not sustainable as a long-term treatment, antimicrobial treatments like this can help to "reset" the mouth, eliminating bacteria and allowing for routine oral hygiene to maintain the health of the mouth. Bite Adjustments: In some cases, forces from biting down when chewing or from chronic teeth grinding (bruxism) can threaten the health and integrity of certain teeth. If you experience this problem, we may recommend various methods that subtly change how your teeth fit together, reducing the stress placed on teeth. We may carefully reshape specific parts of the teeth to change the contact points between upper and lower teeth, thus reducing bite force, or we may join certain teeth together using a small metal or plastic brace that allows them to reinforce each other. In less severe cases, we may simply create a nightguard for you to wear while you sleep, protecting your teeth from grinding. Oral Hygiene: As always, oral hygiene is a cornerstone for dental and oral health. In the long-term, diligent daily brushing and flossing habits are vital for protecting your teeth and gums from disease and decay, so it's important to take ownership of your dental health and ensure you maintain strong oral hygiene. If you have questions, we're happy to provide detailed information on specific techniques for brushing and flossing your teeth. Beyond brushing and flossing, it's important to maintain a healthy, balanced diet and avoid tobacco products of all forms. Together, these measures will prevent gum disease and keep your teeth healthy for a lifetime. Healthy gums are a vital part of maintaining a healthy, beautiful smile, and if you feel you may benefit from gum treatment or have any questions about your dental health, we're always happy to help. Feel free to call us at (402) 475-8710 or request an appointment online at our Lincoln, NE dental office. We can't wait to hear from you, and we look forward to helping you maintain a gorgeous smile for a lifetime!